Prior to World War II, a large military base formed in Union County Kentucky. The United States Government came in and gave farmers below what would be considered fair market value at the time for their land. The flat acreage where you could see as far as 16-miles proved to be the perfect training grounds troops to learn war weaponry of guns and tanks. The rural area is a little over an hour away from Clarksville near the Indiana state line. Camp Breckinridge in Union County was the headquarters of the 506th Regiment of the 101st Airborne Division in the 1930’s and 1940’s. As World War II broke out in 1937, the U.S. Army quickly realized they needed a place to house German Prisoners of War. The base in Union County became the official P.O.W. prison camp housing 3,000 Germans. The base population stood at about 45 thousand residents prior and during WWII and later the Korean War. The large base was also home to basic training for new Army recruits in the 30’s and 40’s. 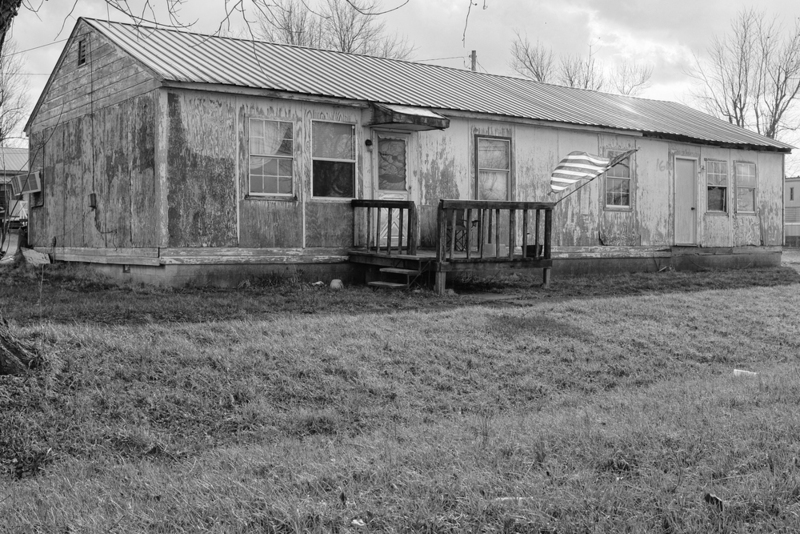 Today, the population in Union County, Kentucky is about 15,000 residents. Of course, that is a drastic drop compared to the 45,000 military residents and 3,000 inmates that called Union County home between 1930 and 1950. 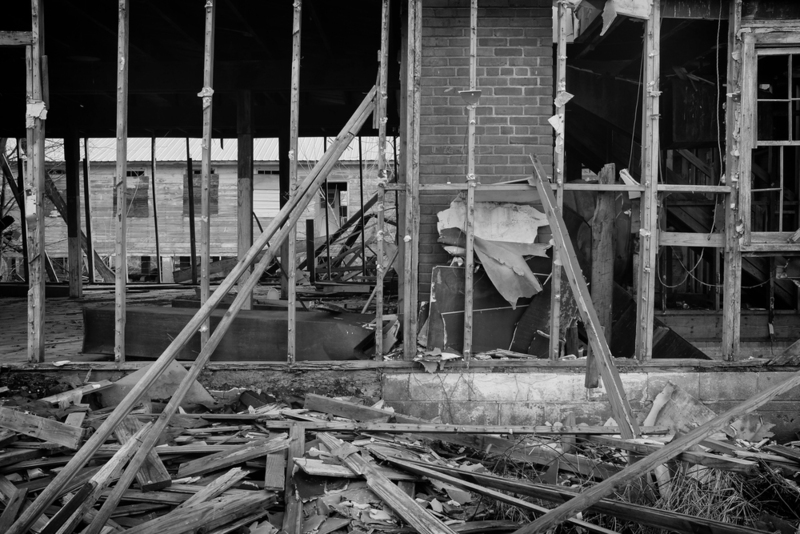 Most of the old World War II era barracks that were left standing were sold to investors in the 1970’s as the land was divided, but the majority of the military classrooms, prison walls, prison cells, cafeteria’s and stores on the massive base were torn down when the government shut the base down. 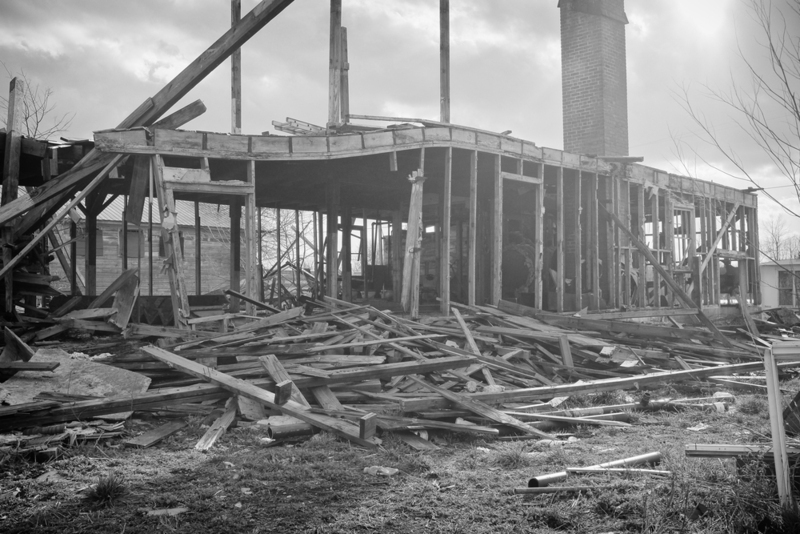 Investors later hired contractors to perform low cost renovations on the interior of the 1930 era barracks dividing them into duplexes so that they could be rented out to residents of low income brackets. As we drove through what was once the base, every 50 to 100 feet you could see large smoke stacks protruding through heavily dense wooded areas that were to my right and left. I then stopped the truck and walked into the woods to further examine the stack's. I could still see the concrete foundations to old military buildings that probably went for miles. There were 50 or more stacks on the land in the area near the old barracks. 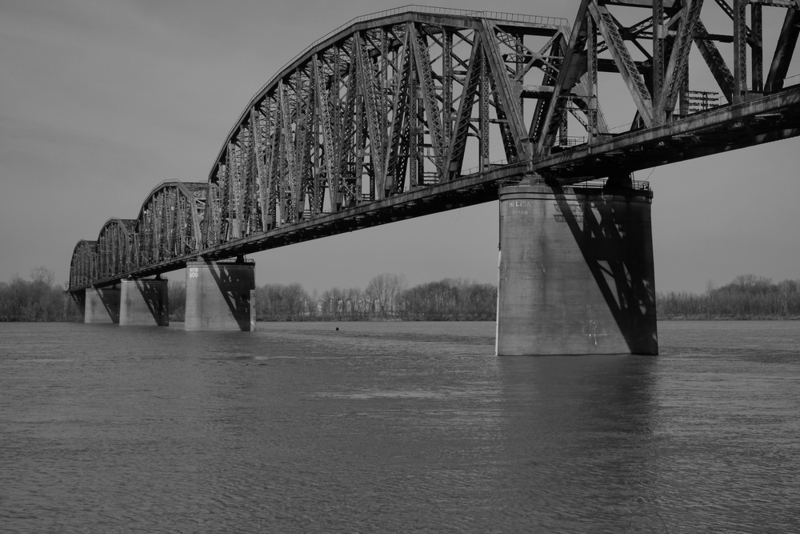 A railroad once ran between the military base and the Ohio River, which was only about 7 miles away. Supplies were shipped to the base on barges and by rail. On the banks of the river, we found a massive chain that may have once been used to tie off the barges while they unloaded. The large chain was about six inches in diameter. As you look at these photos, imagine it a base that was once alive and vibrant.